I have received my New UK Call-Sign * M 0 X I I * from Ofcom, the regularity authority here in Great Britain. Currently I have up-dated my Log's under M/EI5IX on LoTW as my CEPT part of my Irish License M/EI5IX was running out so I had to apply to Ofcom for a Reciprocal License here in the UK. 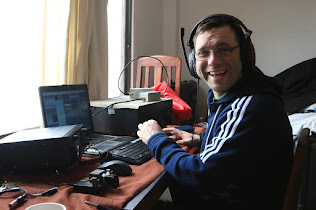 Propagation has being "Kind" as of late and the DX has been very good for QRP stations such as myself here in outskirts of London City, I'm now looking forward to working some of you on the air while I live over in Great Britain under my new call-sign M0XII! !